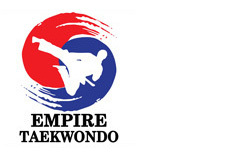 “I am so grateful for Empire TKD. She loves here and practices her moves all day at home. “I am continually amazed at the tremendously positive effect that Empire Tae Kwon Do has had my son’s confidence, personal self esteem, and his self direction. “My 6 year old daughter began classes at Empire TKD and she loves came to here. She looks forward to each week’s classes. As many other parents have mentioned, it is so much more than a great workout and activity for kids. “I couldn’t be happier with the school. The masters are all wonderful, caring and exceptional. “This is a great school for children AND adults. The teachers are extraordinary. You can count on them to always give their best and to bring the best out in you. The TKD program provides a well-rounded training experience that teaches you to bring your best to all situations in life. “I love this school. I don’t study TKD but since my husband began, I have seen his development expand on a physical, mental and spiritual level. He shares with me his appreciation for what he is learning and he is inspired by the dedication of is teacher. ” Making the decision to take TKD classes has brought so many unexpected positive changes to my lifestyle, I am in the best shape of my life and I feel rejuvenated.